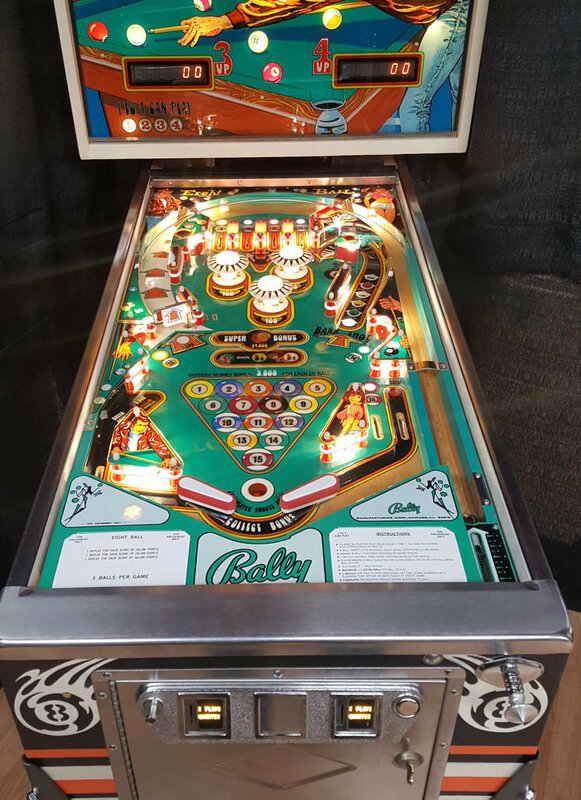 Bally started a long line of hits with this release, the original Eight Ball. 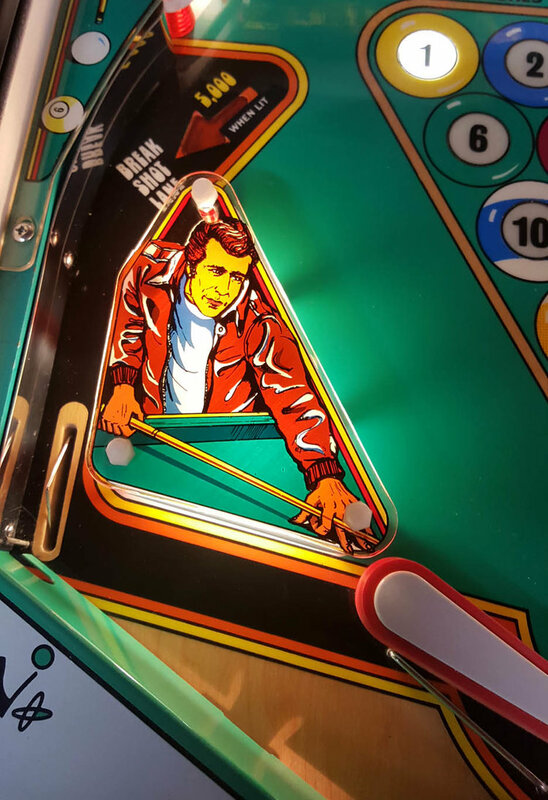 It uses the likeness of the Fonz on the backglass and artwork. 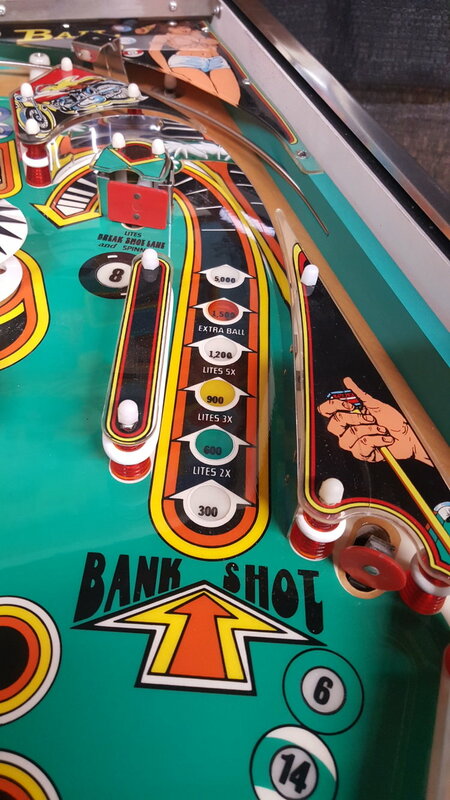 Eight Ball presents a wonderful mix of the old and new. 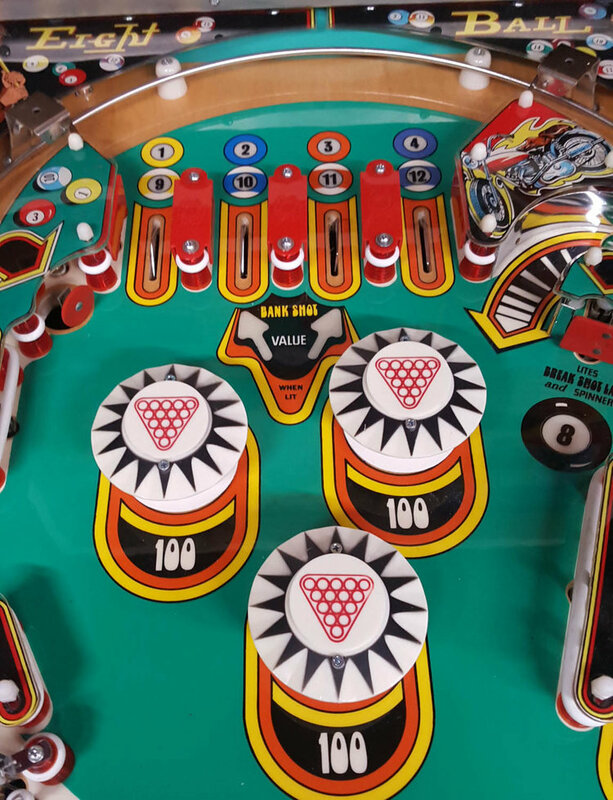 Preserved from the EM era is a beautifully laid out open playfield complete shots to light up the stripes and solids, however it uses early digital technology to operate.